“All my love, always,” Rana Habeeb whispered to her partner Kate Connor as the last moments of her life slipped away, trapped under the rubble of the Underworld factory collapse on their wedding day. Once again, the bury-your-gays trope has reared its ugly head on one of television’s most watched shows. ITV’s Coronation Street announced another ambitious stunt episode a few months ago, teasing heartache, drama and death in its wake. The soap’s press billed it as a whodunnit for the viewers, with hints slyly sprinkled throughout the past few weeks’ episodes. But, while the underlying plot is set to fuel months worth of episodes for the Street, it was the revelation of the death of a beloved character that was due to take audiences by surprise. Unfortunately for the show, a number of viewers put two and two together when actress Bhavna Limbachia (who played the role of Rana Habeeb) announced her departure from the Street this spring. This well-loved character had only been a resident of the cobbles since 2016 but had made an immense impact on the soap’s audience with her performance as the strong, intelligent nurse who knew her own mind. It wasn’t until her 2017 storyline which involved Rana discovering that she had romantic feelings for her friend Kate Connor - a character already established as a lesbian - that much of the viewers truly became dedicated to this character. The Kate and Rana - or “Kana” - devotees struck up a real adoration for this blossoming couple, not just for the lesbian representation that it brought into the show, but for the fact that it reminded audiences that love is unconditional and universal. Rana’s character, a Muslim, received quite the backlash from her fictional family, who refused to accept her homosexuality. As any drama would do so well, it not only presented a perfect match in this relationship, but it also explored the downsides to someone discovering her sexuality, explaining that love cannot always be the straightforward, boy-meets-girl scenario we’re been relentlessly spoon-fed. Rana was disowned by her family, vilified by her ex-husband Zeedan and even almost kidnapped by her parents. But no matter what the couple were put through, Kate and Rana always persevered; their love too strong to let anything get in their way. They were to be married in the first lesbian wedding on Coronation Street since Sophie Webster and Sian Power’s near-marriage in December 2011 - but sadly it wasn’t to be as Rana passed away in Kate’s arms, breaking hearts all over the country and once again pushing the ‘Dead Lesbian Syndrome’ trope that is becoming all too familiar across television and film. The soap has never had a successful on-screen lesbian wedding amongst its major characters despite all of its accreditations as a mainstay of LGBTQ+ culture. As a lifelong Corrie fan, I have always appreciated its campness, its queerness, its boldness and its brashness. Ever since its inception in late 1960 we’ve seen the women of the street dressed up to the nines just to take the washing in; all beehive hair, statement earrings, aprons and pincurls, “half-a-sweet-sherry-and-an-’otpot”, fag in hand, “ready for the knacker yard” - but never ready to give up fighting for what they believe in. This is what the Street is famous for, and what locked it in as a linchpin of queer culture. Yet, it’s always been more camp than actually gay. It takes pride of place amongst LBGTQ+ culture despite never actually having all that many gay characters across its near 70 year history. In fact, reports state only 12 major LGBTQ+ characters. That’s twelve people living in Weatherfield, Greater Manchester; a place where 32 people have been murdered across its 69 years on our screens. Surely, as a soap set in Manchester - the home of Canal Street, Queer as Folk and Gaydio - Coronation Street and its surrounding area would surely have more LGBTQ+ residents on the cobbles. Normally, I would watch the soap without any qualms, but recent episodes made me feel disillusioned as a member of the LGBTQ+ community. "It's just a TV show" a friend of mine texted as I mentioned how upsetting Rana's final episodes were. It's just a television show to so many people, but to others it's much more. Soaps are regularly applauded for representing real lives, educating on social issues in a sensitive, accurate and informative manner - Coronation Street alone has raised public awareness on subjects such as child grooming, HIV and miscarriage with their storylines in recent years. The recent cervical cancer storyline featuring Sinead Tinker raised questions about why the age restriction for smear tests in the UK isn't lowered. Whilst the show portrays these vital real life issues brilliantly, it is sadly letting the LGBTQ+ community down. 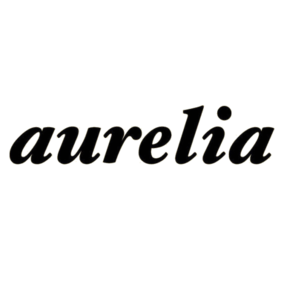 In three of the major lesbian relationships to unfold on Coronation Street since 2015, one ended due to domestic abuse, and the other two ended with one half being killed off. The death of Maddie Heath in 2015, and now of Rana Habeeb in 2019 - created a devastating impact on the show’s viewers. It’s not uncommon for younger viewers to find solace in soap operas and their characters - it only takes a quick look on a soap’s social media pages to see the effect marginalised characters have had on their audience. Rana’s journey as a Muslim lesbian may not have been the most relatable narrative in soap history, but it’s exactly that kind of representation that locked her in as a fan favourite and likely encouraged real-life acceptance of people in a similar position. These violent endings to innocent lesbian characters could result in fear, uncertainty and even denial for women who are questioning their sexuality. If you’re reading this and thinking “that’s a bit of a stretch”, I ask: if TV shows that are intended to reflect real life so regularly kill their queer characters in such tragic ways, then doesn’t that suggest that people should expect these unhappy endings in the real world too? We know that Limbachia was leaving the role of Rana, but the plan to kill her character off has left so many viewers completely distraught. In fact, Limbachia has been quoted as saying that she believed Rana had to die because "it was the only fitting end to the character [...] Kate and Rana had fought so hard to be together and they had been through thick and thin together. If they were to be separated, they had to be torn apart.” It’s unfortunate to know that even the actor playing the character believed this - while Limbachia undeniably loved the role and made her own choice to leave, no character that is providing a positive representation for a marginalised group of people deserves to die. Rana's death is a finite and irreversible outcome for two LGBTQ+ characters who deserved the world. We could have easily had a rare happy ending for a lesbian couple. 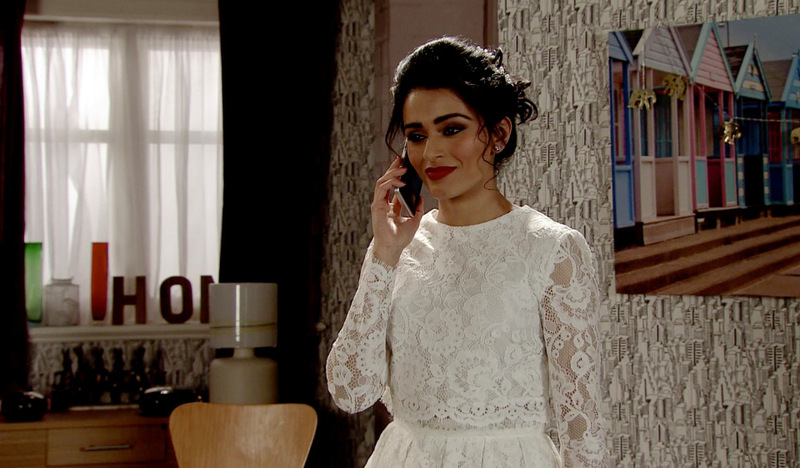 While the two half-hour episodes featuring Rana’s exit featured unequivocally stunning performances by Limbachia, Charlie De Melo (who plays the role of her brother, Imran Habeeb) and Faye Brookes (her wife-to-be, Kate Connor), Coronation Street had an opportunity to make history by featuring their first on-screen lesbian wedding, but chose to forgo it, once again - leaving so many viewers feeling misled and let down. If you’re reading this, and you’re questioning your sexuality, your gender, or any part of your identity; I want you to know that this is not how it ends for us all. While you may have found comfort in Kana’s relationship, it’s okay to be upset by the fact that once again a queer character has been found to be disposable. We all deserve happiness, and while the ‘Dead Lesbian Syndrome’ trope has sadly once struck our TV screens again, please believe me when I say that if you are a woman who loves women, you deserve better than this, and you will get better than this, in our media, entertainment and in real life. People are fighting for it and we have to hope that it will come. The backlash against the soap’s choice to kill off Rana Habeeb has already fueled Ofcom complaints, with people pointing out that not only does this storyline give an unrealistic representation of an LGBTQ+ relationship in that it shows yet another untimely and violent end, but that it also has the potential to trigger viewers. Until Coronation Street catches up with what we deserve, there is lesbian representation out there that you can lose yourself in and devour and not feel disenchanted. Read Annie On My Mind by Nancy Garden or Everything Leads To You by Nina LaCour. Watch But I’m A Cheerleader until you can recite it word for word. Binge-watch One Day At A Time, blast Hayley Kiyoko’s ‘Girls Like Girls’ and Janelle Monae’s ‘Make Me Feel’ and sing along until your throat is raw. I could fill this article with (truthful) cliché after cliché about how “gay is ok” - but ultimately these things have to be seen to be believed, and we LGBTQ+ are routinely being left in the lurch by our media - but people aren’t letting it slide, change is afoot, and lesbians will get their happy ending, eventually.